JLG Industries, a leading global manufacturer of aerial work platforms and telehandlers, is pleased to announce the availability of the Fork-mounted Extendable Truss. 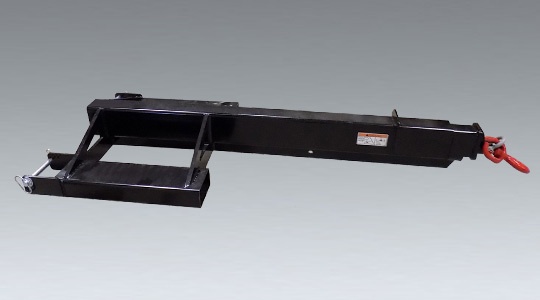 This extendable truss was designed for lifting and placing objects around the job site. The attachment is ideal for metal building erection, setting wooden trusses and putting up post-frame buildings in addition to more “low-rise” applications. It is designed to accommodate a maximum fork size of 2.36 x 7 x 72 inches. For more information about the Fork-mounted Extendable Truss, please visit jlg.com/en/equipment/attachments. To learn more about JLG, visit the company website at jlg.com.